One of my new favorite things is the Luxe Beauty Microfiber Hair Towel! It's 19 x 39 inches, which is big enough for my long hair, but it's not heavy or thick like a regular towel so it feels really light on my head. It is super soft and is microfiber so it soaks up water really fast but yet still doesn't feel soggy or heavy like a wet towel. It wraps around my hair perfectly and stays up when I tuck it in the back. It reminds me of those movies or TV shows where you see them wrap the perfect towel on their head after a shower - This towel really does that! Lately I've been taking showers at night but if I would let my hair air dry, it would still be wet the next morning. And if I would blow dry, it would take 20-30 minutes and cause damage. 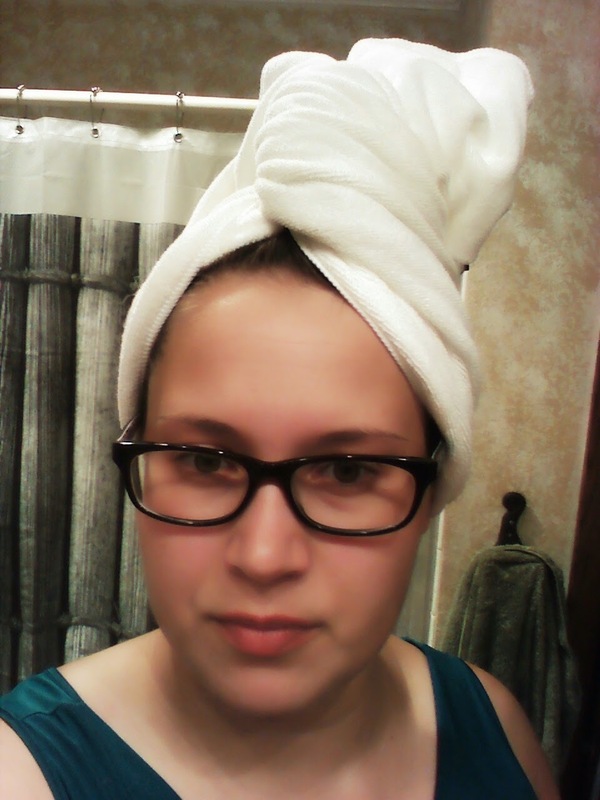 With this hair towel, my hair is fully dry in just an hour or so. I towel off my hair and then wrap it up, leave it on for as long as I feel like - usually at least a half hour, and by then it's just slightly damp. It also keeps my head warm while my hair is drying, and stays on for as long as I want. It also doesn't feel too tight either, so I can still put on my glasses and go about my regular activities. If you have long hair that takes a long time to dry, or even short hair that you want to dry quickly, this is the perfect solution.